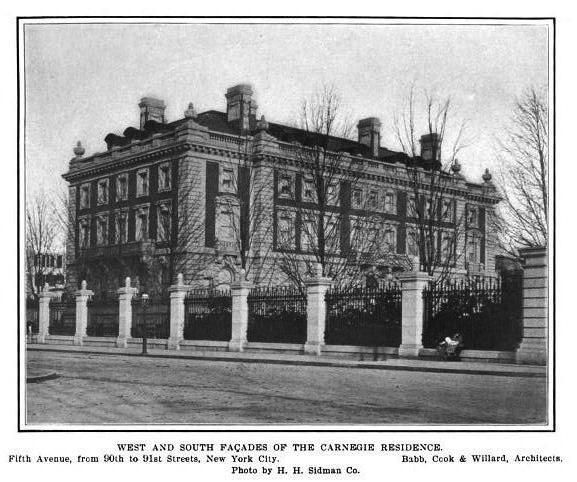 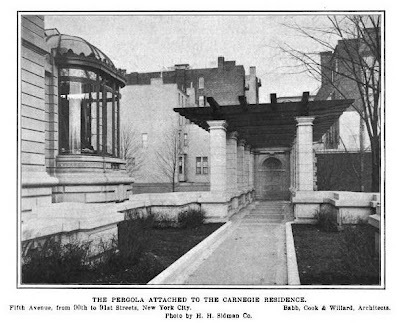 The Andrew Carnegie residence designed by Babb, Cook & Willard c. 1901 at 2 East 91st Street in New York City. 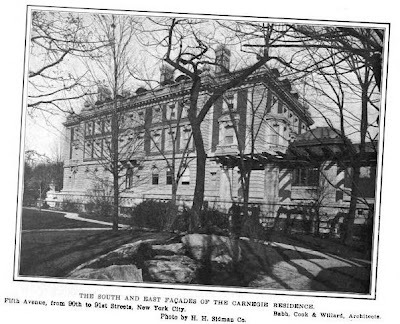 Click HERE for more and HERE to see the house on google street view. 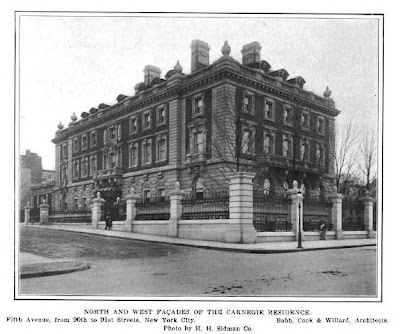 Click HERE for Christopher Gray's Streetscapes article on the residence. The house now functions as the Cooper-Hewitt Museum. 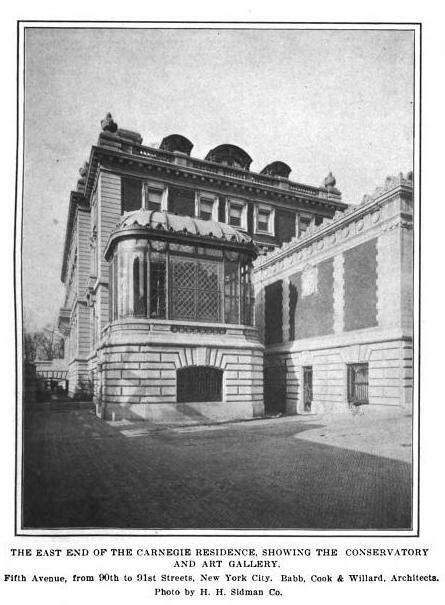 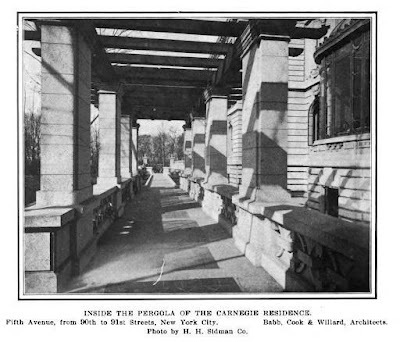 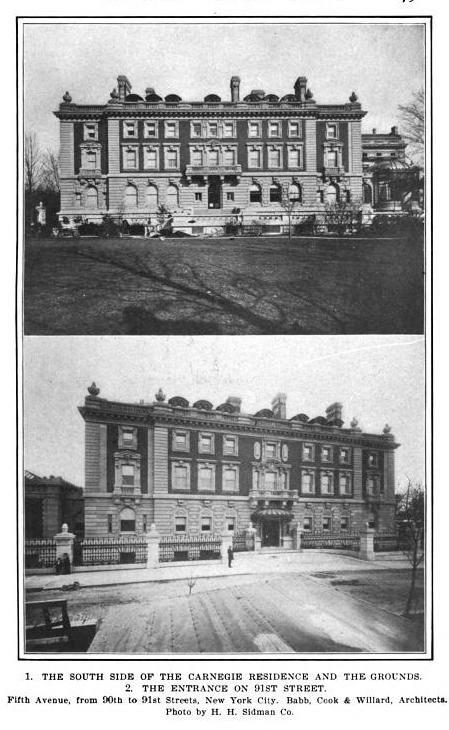 Photos from Architectural Record, 1903. One of only a handful of free standing mansions still extant in NYC and today serves as an appropriate home for the Cooper-Hewitt museum. Architectural critics have not always been kind to the overall design, being too heavy handed, but the very large mansion has settled into its garden location very well and the south facade, conservatory. 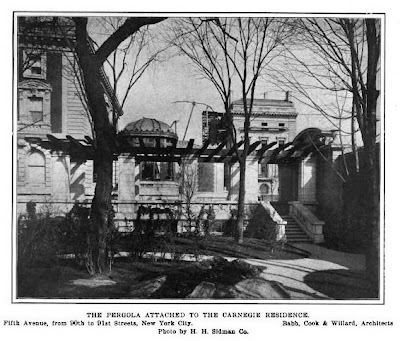 iron entrance canopy, interior stairhall and stained glass are just a few of the many spectacular details of this home IMO. 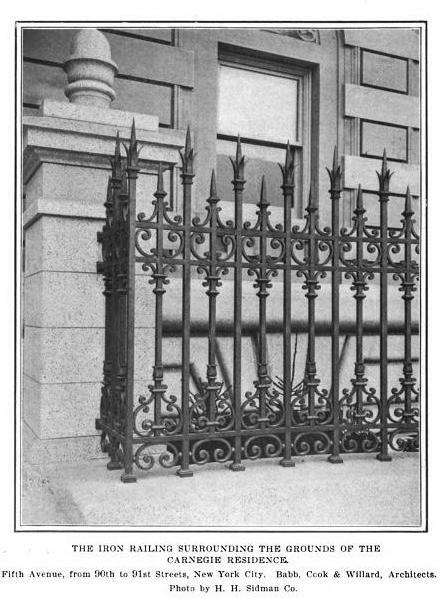 I agree with Archibuff. Even with Central Park just across Fifth Avenue, the south-facing garden is an enormous asset. Stylistically, I much prefer the Otto Kahn mansion across E 91st Street, however.